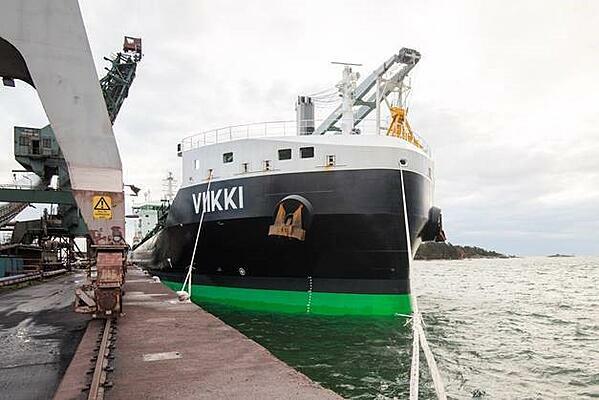 Our second newbuilding, m/s Viikki arrived yesterday morning to Oxelösund, Sweden on her maiden voyage from Sakaide, Japan via Northeast Passage. 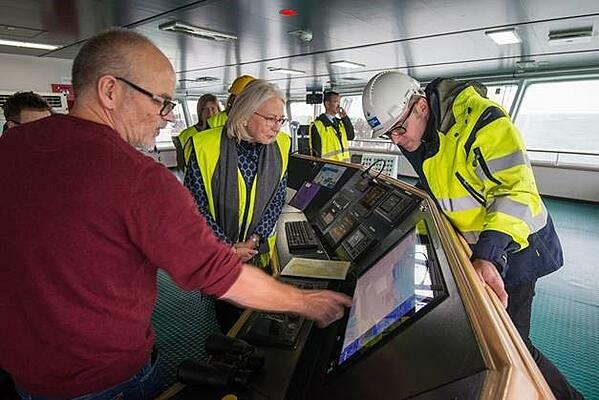 Her first arrival to Oxelösund was celebrated with the visit of ESL Shipping, Port of Oxelösund and SSAB representatives. After discharging, she will join her sister vessel Haaga and rest of the fleet and begin her regular trade in the Baltic Sea. Below some photos from this remarkable event taken by Lindblad Studio. 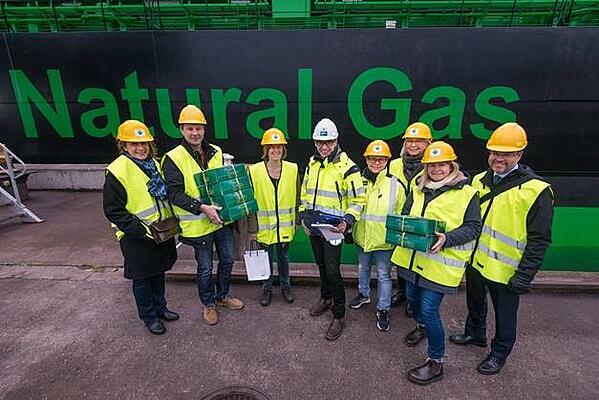 Group of guests before getting onboard with some presents for the crew. 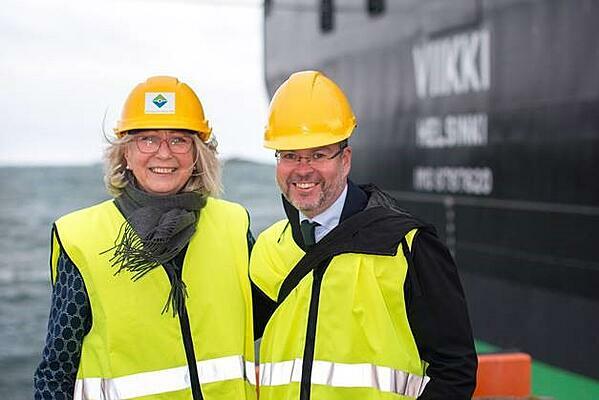 Viikki's godmother Anne Lexelius from SSAB and Managing Director Mikki Koskinen, ESL Shipping. Master Kari Levander showing bridge equipment to the guests.